SPIN provides a variety of community-based support and service options for adults with developmental and intellectual disabilities. Our team of professionals uses a person-focused, outcomes-based approach to support each individual to live a meaningful, inclusive life of their choice. Funding is provided through enrollment in Consolidated Waiver or Person/Family Directed Support (P/FDS) Waiver. Community Living Arrangements or “CLAs” are homes in the community where one to three adults reside. 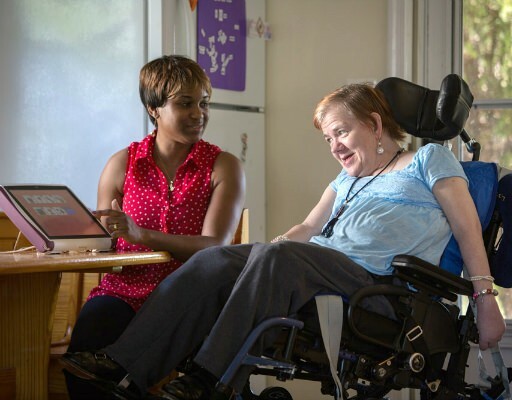 Direct Support Professionals, working on a shift basis, provide the level of support and supervision tailored to the specific needs and choices of the individuals who reside in each home. In most cases, direct support is provided 24 hours a day, seven days a week. 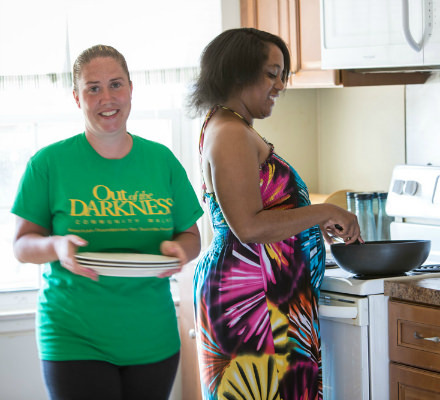 Direct Support Professionals teach skills to promote increasing levels of independence, choice and control in one’s life and support each person to live a meaningful, inclusive life within their community. These homes are licensed by the Pennsylvania Department of Human Services (DHS). Supported Living Arrangement Supported Living is an option for individuals with developmental disabilities who are capable of living safely and well with 29 hours or less of direct staff support per week, but need a safety net of supports available at a moment’s notice. Supported Living services are based on an individual’s preference for lifestyle, schedule and support needs. Support is flexible to adjust to each individual’s changing needs, wants, and aspirations. Supported Living at SPIN is personalized assistance to increase independence and life satisfaction, provided by support employees who care about and respect each person. Supported Living is an option for individuals with developmental disabilities who are capable of living safely and well with 29 hours or less of direct staff support per week. Supported Living services are based on an individual’s preference for lifestyle, schedule and support needs. Support is flexible to adjust to each individual’s changing needs, wants, and aspirations. 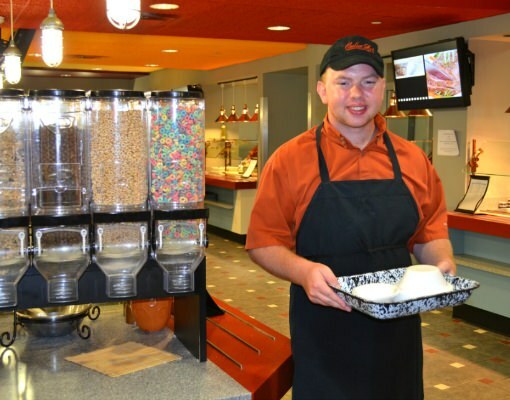 Supported Living at SPIN is personalized assistance to increase independence and life satisfaction provided by support employees who care about and respect each person. Lifesharing is an opportunity for a person with disabilities to live as a valued member of a family. The mission of Lifesharing is to enhance the lives of people with disabilities by matching those who choose this lifestyle with a family or individual who opens their home, who will share their love and friendship in a positive and supportive way. The Lifesharing Provider is screened, trained, and supervised by SPIN. The Provider actively supports the individual’s lifestyle choices and existing relationships, while supporting them in new relationships and meaningful activities as part of a family. 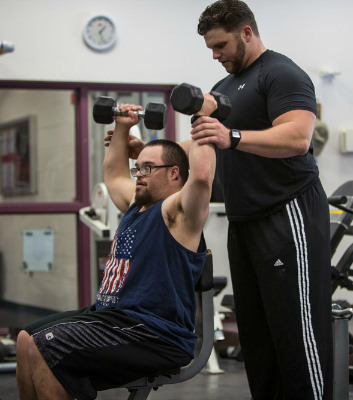 We offer a choice of activities and experiences so that individuals with disabilities can determine their optimum program of support. Day supports and community employment are designed to support people to engage in meaningful activities enabling them to grow and reach desired outcomes in their lives. All individuals in Community Life Options are eligible for services based on their disability. We provide support and services for people with developmental or intellectual disabilities who live with their families. SPIN staff support people to learn new skills for home and community life, to explore their communities, and to develop personal skills. Our Day Supports provide eligible and interested people with developmental and intellectual disabilities the opportunity to challenge and enrich themselves. We help them develop independence in social, recreational, habilitative and educational activities at our Norcom Community Center and in the community. Community employment, volunteer opportunities, and evening social events are strongly encouraged. These experiences empower people with disabilities to make positive choices in planning their day and to lead meaningful lives. Funding is provided through enrollment in Consolidated Waiver or Person/Family Directed Support (P/FDS) Waiver. Private pay options are also available. This specialized option is designed to provide assessment and ongoing therapeutic recreation services to individuals with developmental disabilities who reside in long term care nursing/medical facilities. 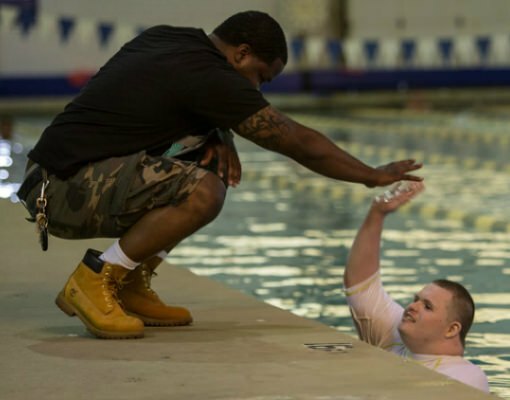 This program offers eligible individuals the opportunity, assistance and support to access recreational and social activities of their choice at the Norcom Community Center as well as within the surrounding Delaware Valley area. Our community employment service matches the strengths, skills and interests of people with disabilities with the needs of local businesses. We offer job development, assistance with the application and interview process, on-the-job training by experienced and professional Employment Specialists, and individualized support to maintain successful employment. SPARC (Self-Promotion Advocacy Resource Community) is a group of over sixty active members whose mission it is to promote independence, choice and civic engagement of adults with intellectual disabilities. There are currently three SPARC chapters at SPIN. All groups meet at the end of each month. Each group has its unique interests: advocating for employment opportunities, learning about their rights or becoming involved in the legislative process. SPIN is a member of PAR, a statewide provider trade association. 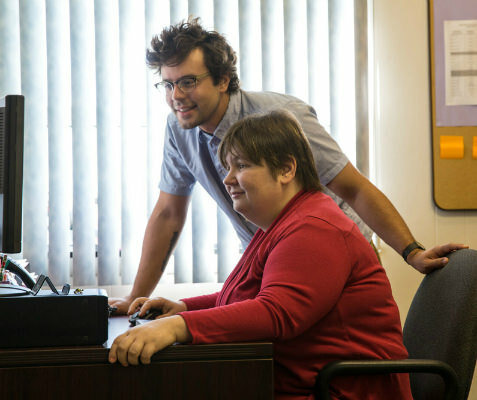 PAR’s mission is to strengthen the capacity of its membership to provide person-centered services to Pennsylvanians with intellectual disability and/or autism. PAR envisions a service provider community that is an effective political, economic, and social force that ensures a person-centered, viable, quality service system that betters the lives of people with intellectual disability and/or autism. 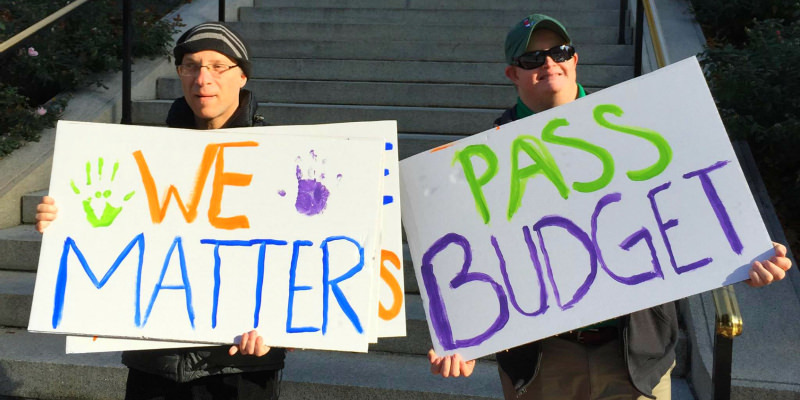 Use PAR’s website to find out what is currently happening in Harrisburg. Click on the “Advocacy” tab to find your legislator and to find out how you can get involved! The American Network of Community Options and Resources is a nonprofit trade association representing and advocating on behalf of the more than 800 private providers of services and supports for nearly 500,000 Americans with disabilities that employ over 400,000 direct support staff in 49 states and Washington, D.C. ANCOR’s efforts in the area of public policy, federal legislative and regulatory initiatives, judicial results, state-level initiatives and the culling of leading practices have uniquely positioned it as the national presence for private providers. Congress and federal agencies turn to ANCOR as the authority in our profession. ANCOR has always been and will continue to be your eyes, ears, and voice in Washington, DC. NADSP – The National Association of Direct Support Professionals mission is to promote the development of a highly competent human services workforce which supports individuals in achieving their life goals. The Alliance, a professional society of fifty specialized agencies, working cooperatively, is committed to improving the quality of services for people with mental illness, intellectual disabilities, and challenges from addictions to drugs and/or alcohol through leadership and support of the human services system.